Wayfarer’s Course 2015 – Perhaps the toughest course ever! 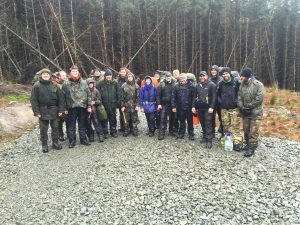 On the 15-20 November 2015 17 good ladies and gentlemen attended possibly the toughest course. With 75mph winds, driving rain, hail, sleet, snow and the occasional spell of stunning sunshine, we take our hats off to these guys. Outstanding skills too. If you can make there, you can make it anywhere!